As usual, I only scratched the surface of what NEAF has to offer. 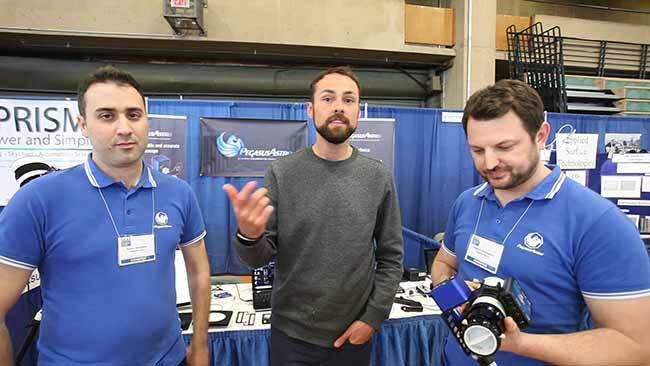 I attend the Northeast Astronomy Forum (NEAF) as an amateur astrophotography enthusiast looking to get an up close look at the latest and greatest gear, but NEAF is a lot more than just vendor and exhibitors booths. NEAF has been hosted by the Rockland Astronomy Club in Suffern, New York since 1991. This event has featured some incredible speakers over the years including Neil DeGrasse Tyson, Phil Plait, David Levy and many more. NEAF is the largest and most exciting space, science, and astronomy show in the United States. In 2006, the Northeast Astro Imaging Conference (NEIAC) was added to the event, and has drawn in some of the biggest names in astrophotography from around the world. The astronomy community is fortunate to have such a well organized and entertaining event to attend each year. I feel a little ashamed to spend so much time at the trade show portion of the event, without truly getting the full NEAF experience. However, this year I managed to fit in one of the fascinating NEAF talks on day 2, and it was both educational and entertaining. The fact that this particular presentation was delivered by one of my favorite YouTubers may have had something to do with it. Dylan O’Donnell is not only a down-to-Earth and likable guy, he’s also really smart. In fact, he is currently studying astronomy to advance his career, while balancing a family life and a popular YouTube channel. We were able to catch up and share ideas face to face, and it was one of my favorite parts of the trip. NEAF is also a chance for me to connect with the amateur astrophotographers who have been inspired by AstroBackyard in some way. The conversations I have with these folks warm my heart and fill it with confidence, motivation, and joy. Thank you to all of the members of the AstroBackyard Facebook page that shared the photos they took with me at the show! The official NEAF website describes the event as “bringing you the universe in two exciting event-packed days“. I can attest to this statement personally, as I have found it impossible to explore every angle of the event. The solar observing field provides endless opportunities to explore our Sun while enjoying the spring weather, while inspiring talks captivate audiences inside the theater. For many, the most exciting part about NEAF is the vendor displays from almost every brand and retailer (120 vendors and exhibitors). The products are not limited to hard goods such as telescope mounts and cameras. Imaging software, remote observatories, astronomy publications, and even apparel are found within the walls of the gymnasium at Rockland Community College. Many companies involved in the astronomy and astrophotography market use NEAF to unveil their latest creations. 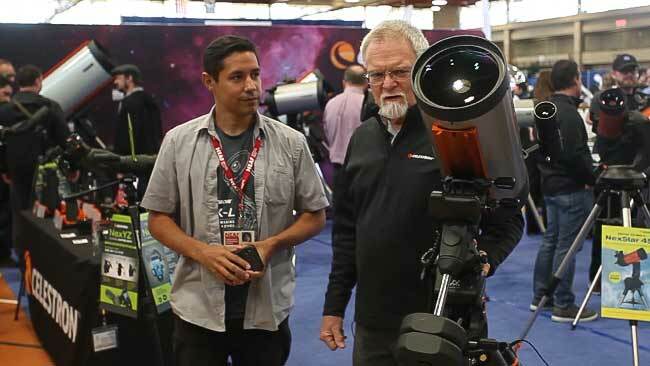 From well known brands with rich histories like Celestron and Meade, to up and comers like Pegasus Astro and Rainbow Astro; the trade show floor represent years of innovation in visual astronomy and astrophotography equipment. It was impossible to visit every booth at the show and explore, because conversations with like-minded astrophotography enthusiasts tend to run long. Sharing photos, discussing backyard observatory plans, and helping to decide which telescope to purchase next were covered in detail during my time in Suffern, New York. 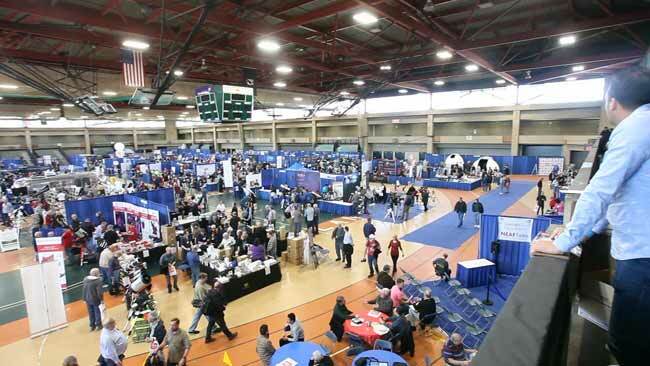 There are a number of telescope retailers that set up shop at NEAF. This includes High Point Scientific, Woodland Hills Camera and Telescopes, and Cloud Break Optics to name a few. The majority of the vendor booths at NEAF are from the brands themselves, from start-up companies to ones that have been around for over 50 years. Local retailer High Point Scientific is a staple vendor of the event, and have been attending the event since from the beginning. They even purchase many the showroom floor demos at NEAF to sell at a discount on their website. 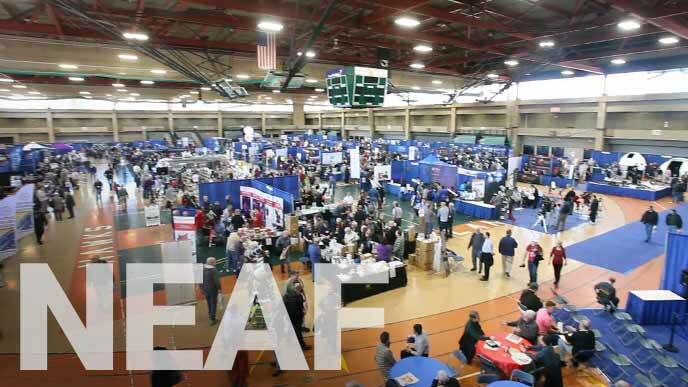 NEAF hosts 120 vendors and exhibitors at Rockland Community College. I had a chance to catch up with the friendly team at High Point Scientific, to discuss the evolving energy at NEAF and the astronomy hobby as a whole. They recognize the new breed of “photographer-inspired” amateur astronomer, which is why they have been incredibly supportive of my website and YouTube channel. Some of the products that were talked about most during my conversations were the new cameras from ZWO ASI, the impressively portable iOptron CEM40, the William Optics RedCat 51, and most recently, the Celestron 8-inch RASA. These items were likely brought to my attention from the crowd due to my previous experiences in the backyard, but I predict that they will also make a big impact this year. 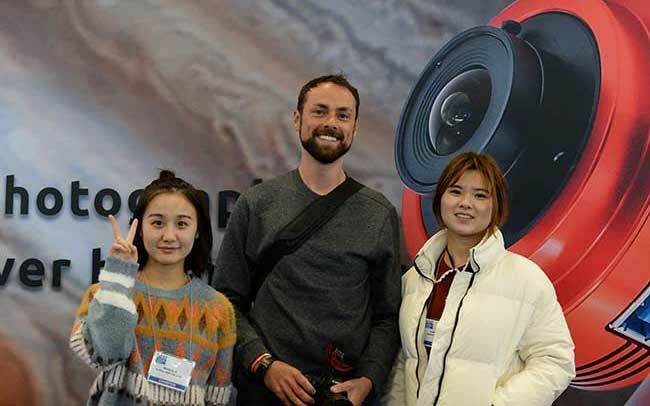 I have developed a great relationship with Optolong filters, and it was great to finally meet my contact at Optolong who made the long journey from China to attend NEAF. Melisa Liu is dedicated to her brand and has made every effort to show her support to AstroBackyard and the amateur astrophotography community. It was also great to catch up with the team at Pegasus Astro face-to-face, and get the inside track on their new Focus Cube and Dewmaster controller. They also have a new version of their extremely popular Ultimate Powerbox, and it is now smaller and more powerful. Chatting with Evans and Angelos of Pegasus Astro. I really love their dedication to support amateur astrophotographers, as all of their creations were born out of solutions to their personal imaging needs. Evans and Angelos have been very supportive of AstroBackyard and it was great to finally meet them in person. Sky-Watcher continues to have a strong presence at NEAF with an impressive amount of telescopes on display. After a positive experience with the Sky-Watcher EQ6-R Pro and Esprit 100, and had some positive feedback to share and of course, a huge thank you. Kevin Legore has been very supportive of AstroBackyard from the beginning and I appreciate all of the advice he has provided over the years. The team at the Meade booth was very helpful in answering the questions I had about their new Meade DSI IV mono imaging camera. Because I am early tester of this camera, there are a few things I can do to help them develop the software and user experience based on actual backyard use from an amateur astrophotographer. It is impossible to anticipate every possible scenario this camera will face, so companies like Meade rely on user feedback to improve their products. ZWO ASI was thrilled to see me in person, and were very thankful for the video content I have shared featuring their products. This was the case last year as well, which shows that they like to keep a pulse on the hobby and their users. I praised them for the incredible user experience I had with the ASI294MC Pro, ASI290mm Mini, and of course, the ASIair. ZWO’s new ASI6200MC Pro was a hot topic at NEAF, along with their new 1.25” OAG helical focuser. I witnessed Dylan O’Donnell filming at the Celestron booth, with an impressive looking film crew following him around. In fact, the backdrop for the Celestron booth at NEAF was one of Dylan’s many photos of the Carina nebula, that had to be at least 20-feet wide. It was wonderful to chat with Dylan about our experiences using the Celestron RASA 8 F/2, from both ends of the world. He had to travel 30 hours for us to finally meet in person, so next time I’ll make the long flight to collaborate. A trip to Australia to visit the southern skies of Byron Bay sounds like a great idea to me. Dylan O’Donnell visiting the Celestron booth at NEAF. Up-and-comers like Rainbow Astro give us a glimpse into the future. 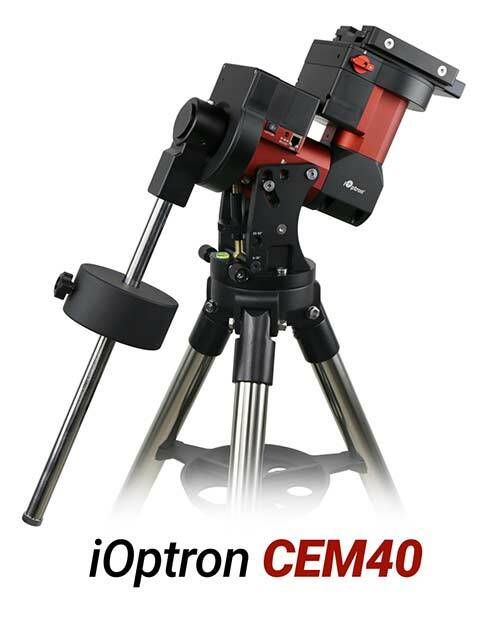 They offer a harmonic drive robotic telescope mount that does not require a counterweight. The company was founded by professionals in the field of robotics, and take a new approach to telescope tracking for astrophotography. I found the design to be quite revolutionary, and I expect it to gain traction in the amateur astrophotography world as they continue to develop the technology. The software companies continue to push the envelop of what’s possible using amateur astronomy equipment. After an impressive demonstration of the PRISM software by Hyperion, I now realize that backyard photographers have access to the same powerful tools that are used at professional observatories. 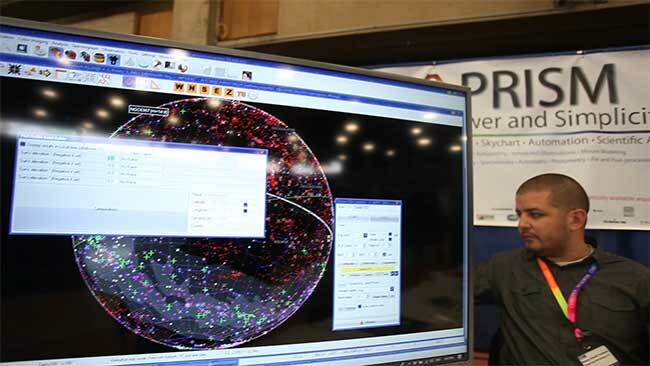 I enjoyed an enlightening demonstration of the PRISM software from Hyperion Astronomy. As you can tell, I spent the majority of my time engaging with amateur astrophotographers and the companies responsible for much of the gear we own. NEAF is much more than that, as it really an event that celebrates astronomy as a whole. 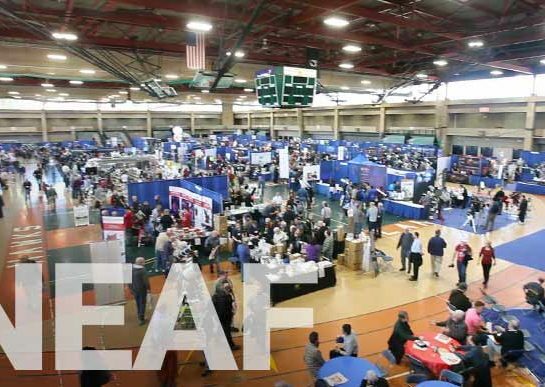 The inspiring NEAF talks are the most unique and powerful aspect of this event, and I plan to enjoy more of them the next time I attend the wonderful gathering at Rockland Community college next April.